The Marist Brothers International School Parent-Teacher Association was established in 1956. 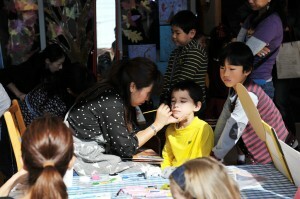 The aims of the Association are to improve conditions at MBIS by close cooperation between the parents and teachers. This involves discussion of issues pertinent to both parties, thereby enabling the school to function as efficiently as possible. The body is governed by an Executive Committee, of which Mrs. Mary Macallister is the current President. Members are elected annually after nominations are put up at the first general meeting of the academic year. The Committee meets to discuss pertinent issues, which are then presented and discussed at general meetings held quarterly. Parent Forum meetings are held monthly in an informal and relaxed setting. There is a suggestion box at each general meeting in which members can place ideas which they feel necessary or desirable for the betterment of the school. These suggestions are then discussed by the Committee. 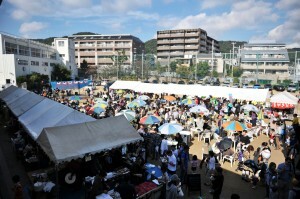 The Association derives its funds from the Annual International Food Fair. In order for the Association to successfully achieve its objectives, the cooperation of all parents is necessary. The Committee takes this opportunity to urge all families who have not yet joined to do so, and help to continue the success of the Parent-Teacher Association.